I came to yoga, like most people, the long way. As a kid I was involved in gymnastics and loved being upside down, being strong and dynamic and present in my body. As a young teenager some of that presence started to disappear. My confidence faded and my normal shyness started to increase. I started having panic attacks. Having panic attacks led me to be constantly alert for possible stressors and sources of anxiety. That is, when I wasn't drinking or taking drugs, dancing like a wild thing and partying myself into a state that kept the anxiety at bay, but didn't leave me feeling healthy and happy either. Fear constricts the breathing. It makes the body rigid and locks down connection and spontaneity. While I looked fit and healthy on the outside - I was vegetarian, I looked trim and strong - I was still separated in some way from myself. Through yoga - practicing it and teaching it - I found a way to reconnect myself. I took my first yoga class in 2000. It was out the back of a whole foods cafe on Lygon Street in Brunswick, Melbourne. I only lived a few doors down, so it was pretty easy to get there. But being an anxious little bundle, I arrived at the door with a million doubts: is it going to be too hard for me?... I'm not as flexible as I used to be... am I hippy enough?... is everyone going to know each other already? Blah blah, the usual. Of course, the room was peaceful, quiet and welcoming. There were, as there always are, a whole range of different people. I was fine. I remember quite a lot from the first class. It was the first of a term of beginners' classes, so we were taught Tadasana, a version of Salute to the Sun and Savasana. The teachings from that first class have really stayed with me. Particularly Tadasana, or Mountain Pose. I loved (and still do) how simply standing still was considered yoga. (That in itself taught me a lot about what yoga is.) How strong you can feel by getting that pose right! The improvement in my posture and balance and the knock-on effect on my attitude. So simple! For many years I floated in and out of yoga classes, all over Melbourne. I saw it as a stress management tool. I'd come back to yoga when I needed it, when life or work or relationships were leaving me feeling ragged. 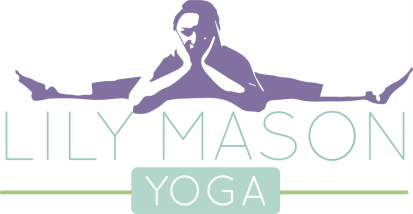 In 2011 I started taking classes at Embody Yoga in Daylesford with Janet Lowndes. I took 3 or 4 classes a week. Whenever Janet taught, I'd be there. A wonderful, fun teacher and a beautiful, inspirational woman. Janet just breathes calm. Yes, inspirational. She taught me to dance in yoga, and to giggle and breathe. I'd done some breathing exercises before, but this was the first time anyone had explained why. One day we practised 3-stage-breathing, for a few minutes. When we finished, my first clear inhalation was the purest, most delicious breath I'd ever taken. I'm hooked! Breathing's awesome! It took me a lot of persistence to change the habits of a lifetime, but I finally nailed it. Abdominal breathing! Guaranteed to calm the most anxious tummy. Yoga was starting to open up a whole new way of being for me. I enrolled in a teacher training course in Kerala, India, hoping it would deepen my learning. I didn't have ambitions of being a teacher, I just wanted to be immersed in that world for a while. I was exposed to more wonderful teachers, made some incredible friendships and lived and breathed yoga for a whole month. 5am starts. 10pm finishes. 4-5 hours of asana every day. Plus meditation, breathing, philosophy, history, anatomy, teaching practice as well as Ayurveda and Reiki classes. And it turned out I enjoyed teaching!